This is a sponsored conversation written by me on behalf of Albertsons Companies. The opinions expressed are all mine. 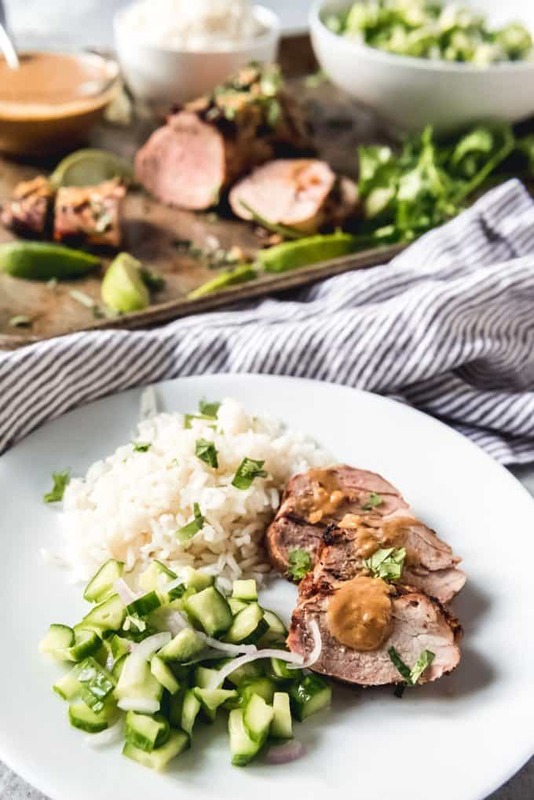 This Grilled Thai Pork Tenderloin with Coconut Lime Peanut Sauce is packed with delicious flavors and is perfect served with coconut jasmine rice and an easy cucumber salad for dinner. Don’t forget coconut mango sticky rice for dessert! Our family loves Thai food. We visited Thailand a couple of years ago when the girls were really little and we talk about that trip a lot as a family. 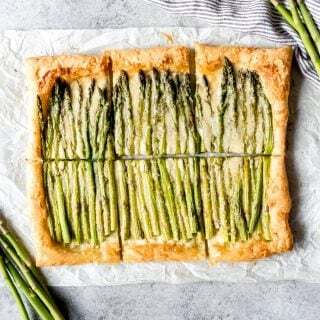 Maybe that has something to do with it, but it’s the one cuisine that all of us love and tend to agree on when eating out. 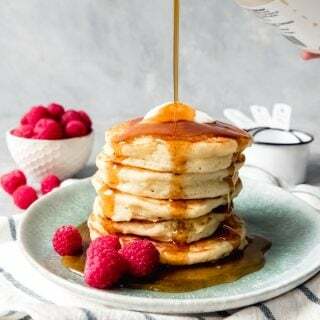 I actually took a couple of cooking classes while we were in Thailand because I really wanted to learn how to use the ingredients and understand the food there better. 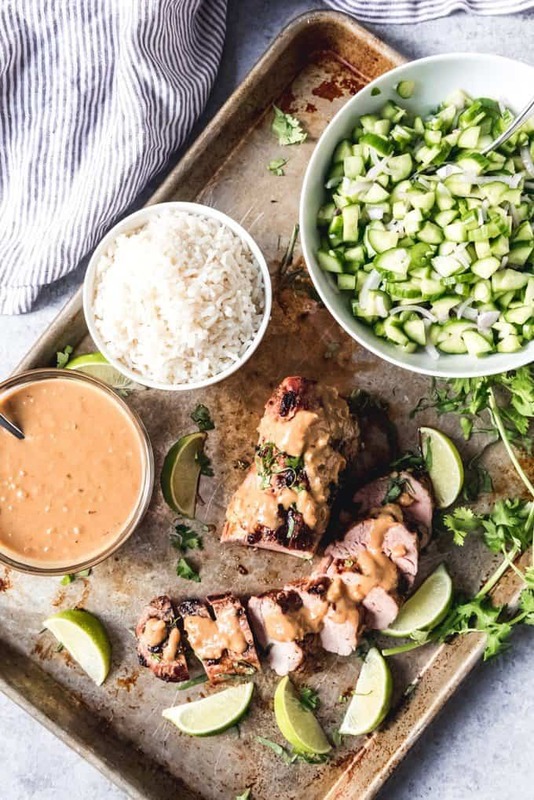 This grilled Thai pork tenderloin with coconut lime peanut sauce is inspired by some of the lessons I learned there. Thai food is about balancing different flavors: sweet, sour, salty, creamy, and spicy. I think “bitter” is sometimes thrown in the mix as well. But the secret to a good Thai dish is to find the right balance of at least two of the flavors. I heard this in both classes I attended in different regions of Thailand. 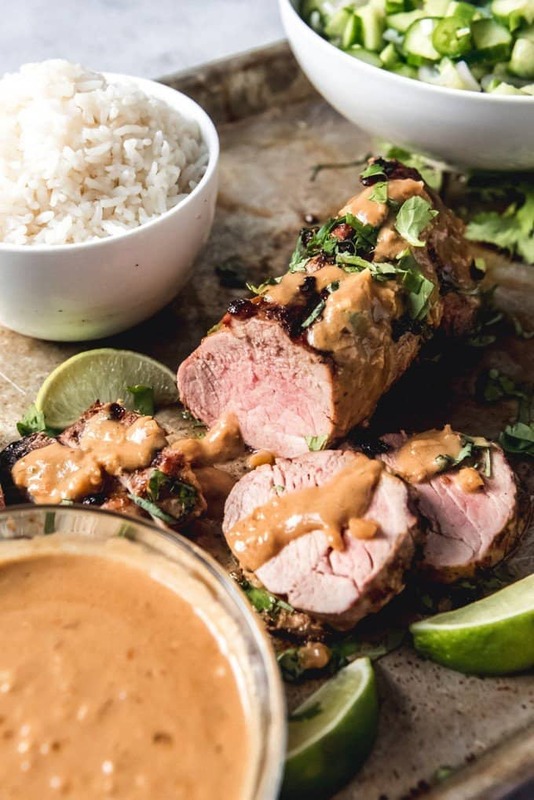 I love that this Thai pork tenderloin with coconut lime peanut sauce is actually quite healthy with simple, wholesome ingredients but still has big, indulgent flavors that comes from using fresh, amazing ingredients like the Open Nature® Pork I buy at my local Safeway store. 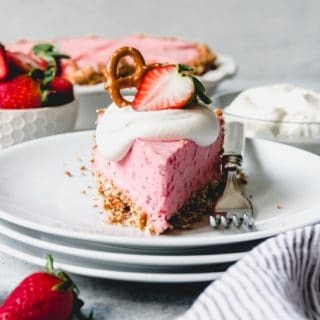 You can also find them exclusively at all of the Albertsons Companies family of stores, including Albertsons, ACME Markets, Jewel-Osco, Vons, Pavilions, Randalls, Tom Thumb, Shaw’s, Star Market, and Carrs/Safeway. I love that the Open Nature brand of products are dedicated to a clean lifestyle and that there is such a wide variety of products in both food and non-food categories. 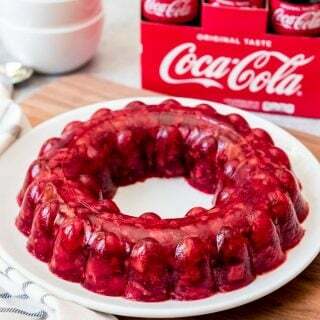 Visit Safeway.com to find a store near you and get more recipe ideas. 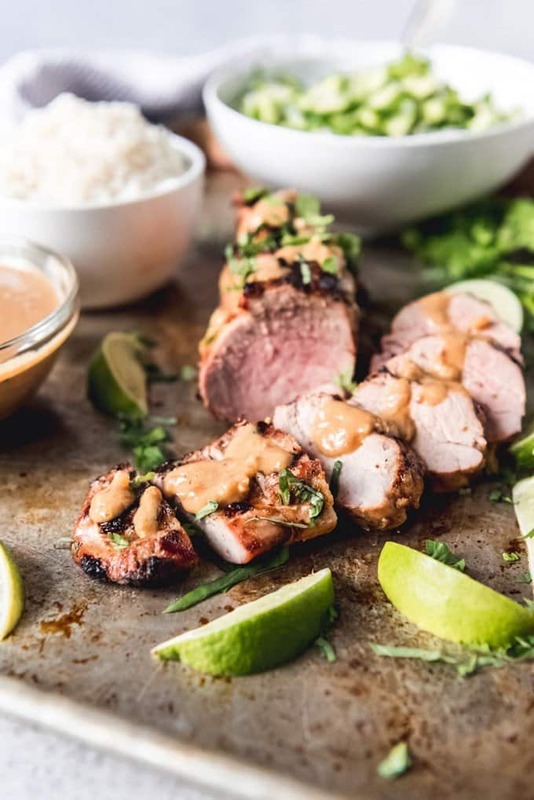 How do you make Grilled Thai Pork Tenderloin? 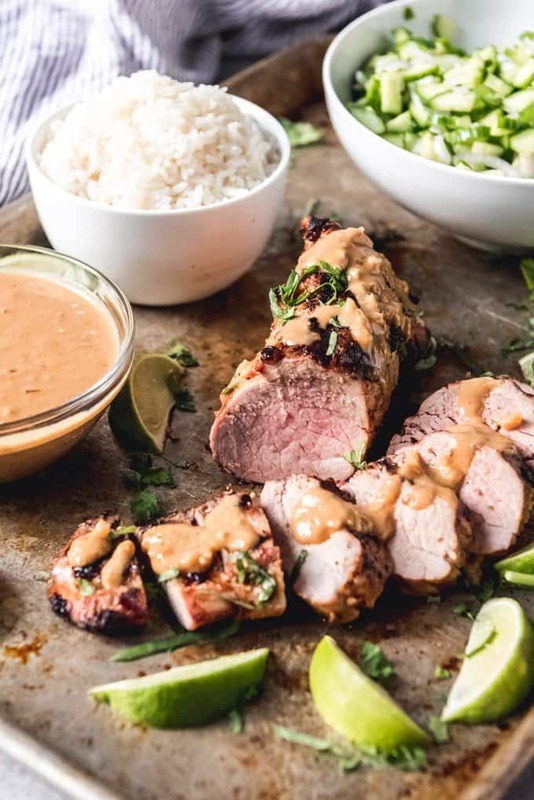 I’m not claiming that my grilled Thai pork tenderloin is authentic, but I tried to stay true to the core Thai principles of cooking by balancing flavors. 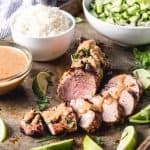 The pork tenderloin gets marinated in a creamy coconut base that has peanut butter and just a little sugar for sweetness (although it may be sweeter than traditional Thai food – my instructors there kept repeating that most people from the West like their food too sweet and their vegetables burnt?!). There is also crushed red pepper flakes for just a little bit of spiciness (but not an intense spicy – both my girls handled it without a single complaint) and lime juice for the sour element. There’s also fish sauce, lemongrass, ginger, garlic, soy sauce, and shallot, all of which are frequently used ingredients in Thai cuisine, along with a few more spices. Don’t be intimidated by the long ingredient list though. 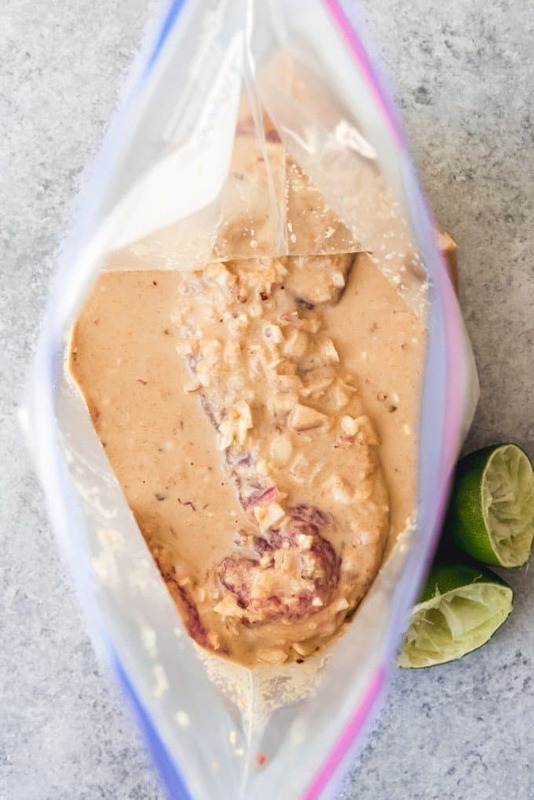 It’s literally just a matter of combining everything in a bowl and then sealing the marinade with the pork tenderloin in a large ziptight bag to marinate for anywhere from 30 minutes to 24 hours. I love the Open Nature Tenderloins for this dish. 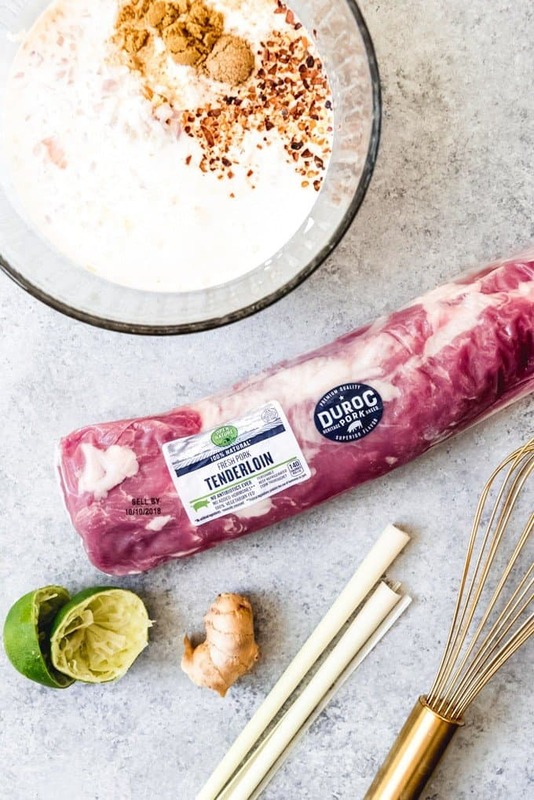 All Open Nature pork is from the Duroc heritage breed, which is esteemed by chefs for its high-degree of marbling, translating into a more tender, juicy, and flavorful eating experience. Duroc makes it “fool-proof” to prepare a delicious entree. Open Nature pork is also anti-biotic free (no antibiotics ever), 100% vegetarian fed, has no added hormones or growth promotants and is raised crate free. Open Nature Pork is available in the San Francisco Bay Are exclusively at Safeway stores. When you are ready to cook the pork tenderloin, pull it out of the ziptight bag and put it on a hot grill. Don’t throw the marinade away though! 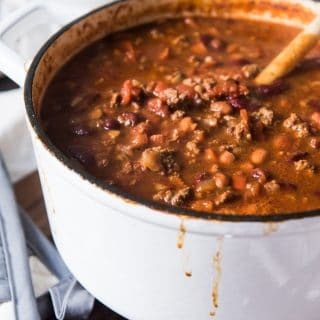 Just pour it into a small saucepan and bring it to a boil over medium heat. 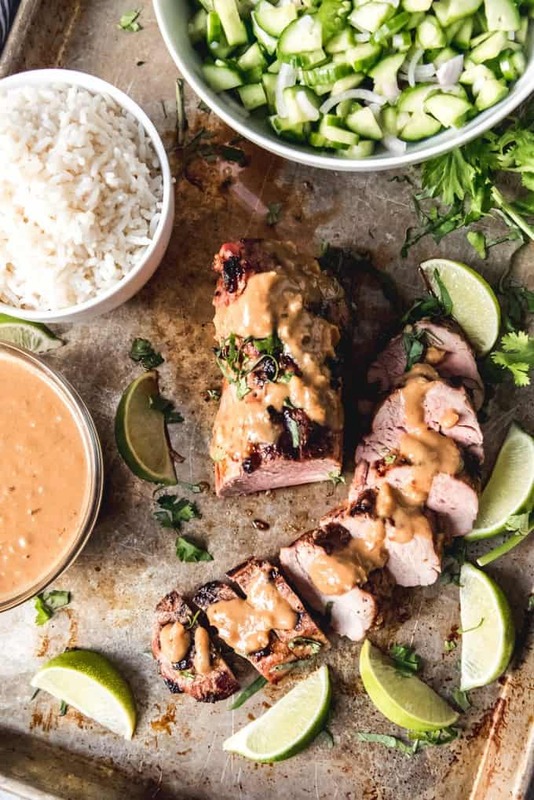 Let it simmer for a minute or two, which is plenty of time to kill any bacteria in it and thicken it into a wonderful coconut lime peanut sauce that you can use to drizzle over the cooked pork tenderloin! Grill the marinated pork tenderloin over high heat with the lid closed for 5-6 minutes, then flip it over and grill another 5-6 minutes. Turn off the grill but leave the lid closed and let the tenderloin continue to cook for 5 more minutes until it has reached 140-145 degrees F when tested with an instant read meat thermometer. Pull it off the grill and let it rest for 5 minutes before slicing. I like to slice the meat, then drizzle it with some of the sauce and sprinkle it with chopped cilantro. 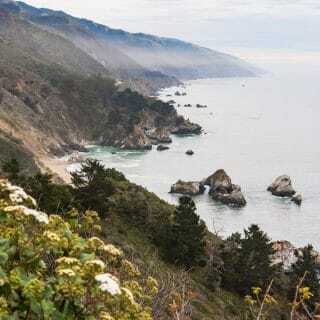 Then we serve it family style with coconut rice and a quick and easy Thai cucumber salad that is made by combining diced cucumber with salt, lime juice, thinly sliced shallot, a little coconut milk, and a serrano pepper that has been sliced in half. Let that sit in the fridge for 15-20 minutes before serving, then remove the serrano pepper. You could actually slice them really thin and leave them in, but that was overwhelmingly spicy for most of us. The National Pork Board recommends cooking pork tenderloin to an internal temperature of 145 degrees F for a medium-rare cook. Since meat temps increase while resting, I remove my grilled pork tenderloin from the heat at 140 degrees F, followed by a 10 minute rest where it finishes rising the last 5 degrees. As written the recipe fed our family of 4 with no leftovers, but you could easily double it to have something for the next day. Or double the recipe and divide the marinade between two bags and freeze one of the pork tenderloins in the marinade for another day. It is totally okay for the pork tenderloin to be just a little pink in the center, which is normal for a medium-rare cook, so long as it reaches 145 degrees F. You could even cook it to 160 degrees F for a medium cook, although it’s much juicier at medium-rare and my strong preference since it is to tender and melt-in-your-mouth that you could literally cut it with a fork. Combine all of the marinade ingredients except for the pork tenderloin in a bowl and whisk together. Place the pork tenderloin in a large ziptight bag and pour the marinade over it, sealing well and marinating in the refrigerator for at least 30 minutes and up to 24 hours. Remove the meat from the fridge for 30 minutes to 1 hour before cooking and let it sit on the counter to take off the chill. When ready to cook, heat the grill to high and place the the marinated pork tenderloin on the hot grill. Reserve the marinade. Grill the marinated pork tenderloin over high heat with the lid closed for 5-6 minutes, then flip it over and grill another 5-6 minutes. Turn the grill off but leave the lid closed and let the tenderloin continue to cook for another 5 minutes until it reaches 140-145 degrees F on an instant-read meat thermometer. Pull the meat off the grill and let rest for 5-10 minutes before slicing. While the meat is cooking, pour the reserved marinade into a small saucepan and bring it to a boil over medium heat. Let it simmer for a minute or two to kill any bacteria and thicken it into a wonderful coconut lime peanut sauce. After the pork tenderloin is sliced and ready to serve, drizzle it with the sauce and serve any reminder on the side. 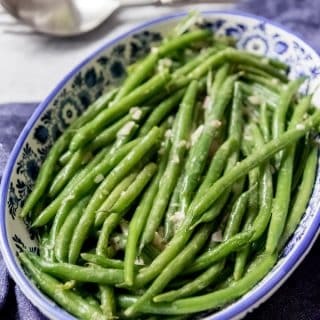 Combine the cucumber salad ingredients in a bowl for 15 minutes in the refrigerator. Remove the serrano peppers and serve. If you prefer a spicy salad, you could very thinly slice the serrano pepper and leave it in the salad. This is a sponsored conversation written by me on behalf of Safeway. The opinions and text are all mine.